KOPEKS Pet Pool: KHOMO GEAR joins KOPEKS for a one of a kind Collaboration. We have combined the rugged, heavy-duty materials KHOMO GEAR is well known for with the stylish and practical designs of KOPEKS Pet Products. If your pet or child loves being outdoors, the KOPEKS Pet Pool is ideal to enjoy those beautiful sunny days! The KOPEKS Pet Pool easily folds into a convenient plastic carry case for easy transport. The Heavy-Duty PVC material ensures a safe and sturdy set up for hours of fun! And draining the pool is stress free – A strategically located easy twist off cap drains the pool in no time!. PORTABLE: Easily folds. Perfect to take anywhere! If you have any questions about this product by KOPEKS, contact us by completing and submitting the form below. If you are looking for a specif part number, please include it with your message. 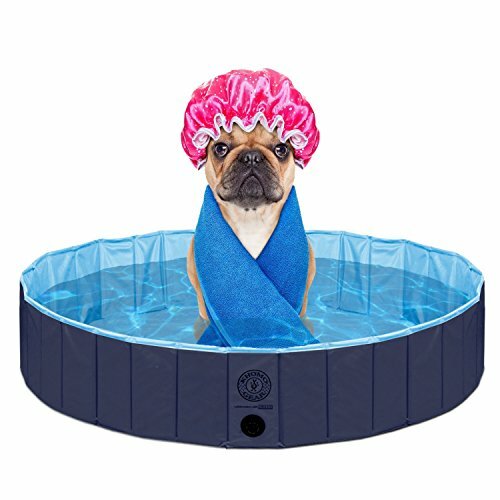 Outdoor Swimming Pool Bathing Tub - Portable Foldable - Ideal for Pets - Large 47" x 12"